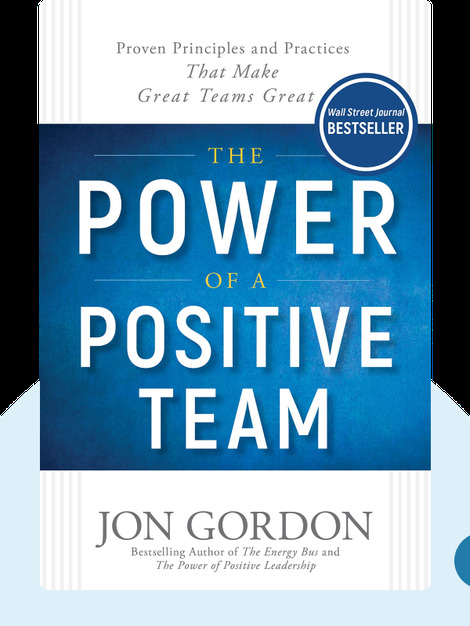 The Power of a Positive Team (2018) shares proven principles that help good teams become great. Using real-life examples from the author’s many years of work in business consulting, the blinks explain how you can improve your team’s communication and commitment while dispelling negativity. 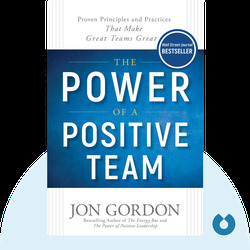 Jon Gordon is an author and expert on the subjects of teamwork, leadership and culture. He has worked for a number of athletic organizations and corporations, and his work has featured in the New York Post, the Wall Street Journal and the Washington Post.